MomsRising.org | Tell Congress: Repeal the Trump Tax Scam!! Tell Congress: Repeal the Trump Tax Scam!! It’s tax time and we are getting an angry earful from moms around the country about Trump’s backwards tax scam -- and need your help letting Congress know what’s going on in the real lives of families in our nation. Simply put, our families are getting screwed by the Trump Tax Plan (aka the Tax Cuts and Jobs Act, aka the Trump Tax Scam). ***TAKE ACTION NOW! Sign our letter telling the U.S. Congress to repeal the Trump Tax Scam! Millions of working families are experiencing the pain of the Tax Cuts and Jobs Act this tax season and it must be repealed! 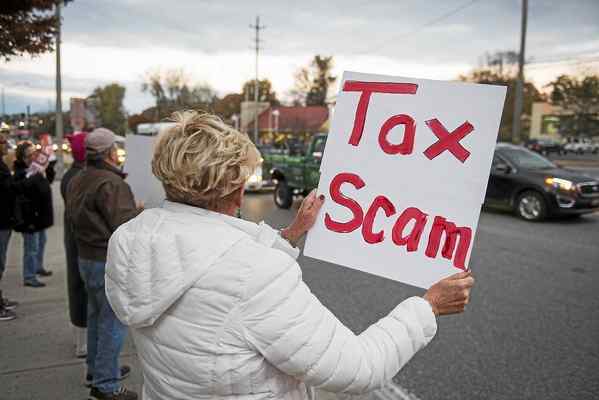 The TCJA showered billions of dollars on the wealthiest Americans and mega-corporations, but largely left out millions of working families, many of whom are feeling the pain of unexpectedly smaller tax refunds or even owing additional taxes! This must be remedied! Rather than continuing to give trillions of dollars away in tax cuts to mega-corporations and cutting our healthcare, nutrition, and education in order to pay for them, Congress should repeal this upside down, harmful law and instead concentrate its efforts on strengthening working family credits so parents can better care for their families and become more financially secure.